Lack of sleep can make you grumpy and groggy all day long. You know that you don’t feel right when you don’t get enough sleep, but you may not know that lack of sleep can actually affect your overall health in a number of ways. Here are just a few things to watch out for if you do not get enough sleep. Sleep deprivation is a factor in many accidents each year. Sleep loss is a huge public safety hazard whether you are driving, operating machines in the office, or simple cooking in your kitchen. If you don’t get enough sleep, you are much more likely to have an accident of some kind or another. If these accidents are severe enough, they could greatly affect your health and your future. Sleep plays a huge role in the way you think and learn. If you do not sleep as much as you need to, the cognitive process slows down. Your attention span and level of alertness will be affected and you may not be able to reason and concentrate as well either. This even affects how you can learn. Your mental health is at stake when you are having issues thinking and processing correctly because of lack of sleep. Chronic sleep issues can put you at a higher risk for a number of serious illnesses, including heart attacks, heart disease, or heart failure as well as high blood pressure, diabetes, stroke, and irregular heartbeats. Most people who suffer from insomnia also suffer from another related illness because of the lack of sleep. When you do not get enough sleep, you try to keep yourself awake and enhance your mood by eating more. Your appetite will increase and you will eat whatever foods are around you to help yourself stay awake and alert. This leads to unhealthy food habits which could cause diabetes and other issues. Chronic sleep deprivation could even be the cause of obesity in some people. Let’s face it, when you’re tired, things get to you more easily. Whether it’s your kids, your job, or just stopping at the grocery store, everyday events will stress you out more when you don’t get enough sleep. This can lead to a number of other health issues like high blood pressure. Sleep is a very important part of life and everyday health. In order to get the sleep you need, experiment with the amount that works best for you. Doctors recommend 8 hours, but some people need slightly more or less than that amount. Keep in mind that the health effects that come from lack of sleep are serious. 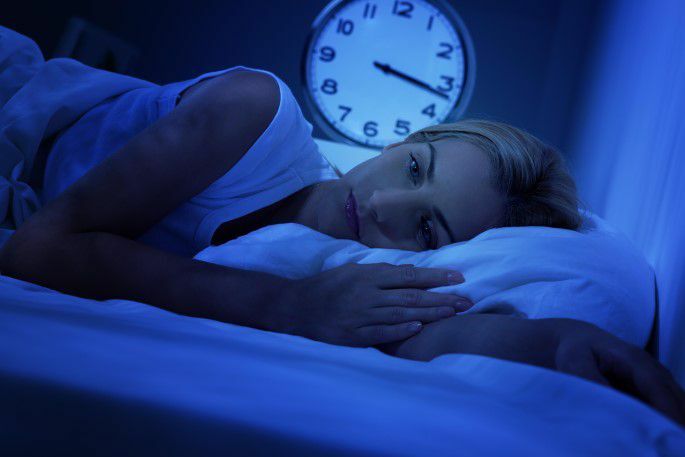 If you’re having trouble sleeping, contact Nano Health Associates in Hollywood, FL. Our medical team can offer remedies and treatment options to help you get more sleep and better rest.